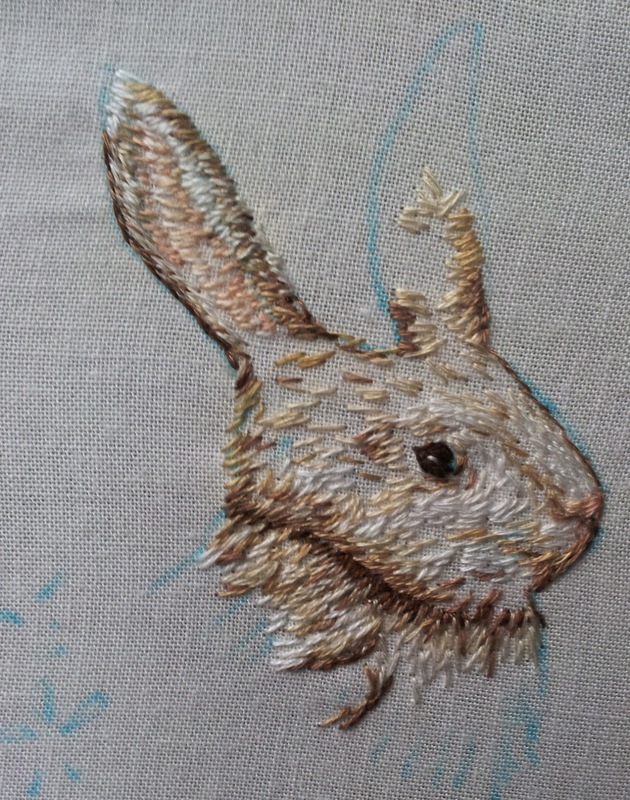 Follow the White Bunny: Furry update and a new quilt book! Furry update and a new quilt book! I've been spending some quality time with my furry friend in the past few days, a couple of dozen minutes here and there...Somehow the photo makes him look much more textured than he really is. The 'real' rabbit looks much smoother and I must try and capture that in a photo for my next update! While I was stitching I kind of went back to my own 'crazy fur stitching' technique but it's looking pretty ok so far so that's fine. :) I think for a next project it would be better to get my colour pencils out before I start my embroidery and plan the shading a bit more thorough than I did with this piece. I'm a little biased when it comes to all things Fat Quarterly, the e-zine about quilting. Katy of FQ has been an online buddy for years and years, every since I won a giveaway on her blog. (I still have the Cath Kidston Tesco Christmas shopping bag I won!) 'T was in the days that giveaways were more rare and (lucky for me) not many people entered either, haha. I think I first stumbled upon John of FQ when we were both contributing blocks for the Bushfire Quilt Project (also quite a few years ago now) and we exchanged embroideries in the Hoop Up Swap etc etc. 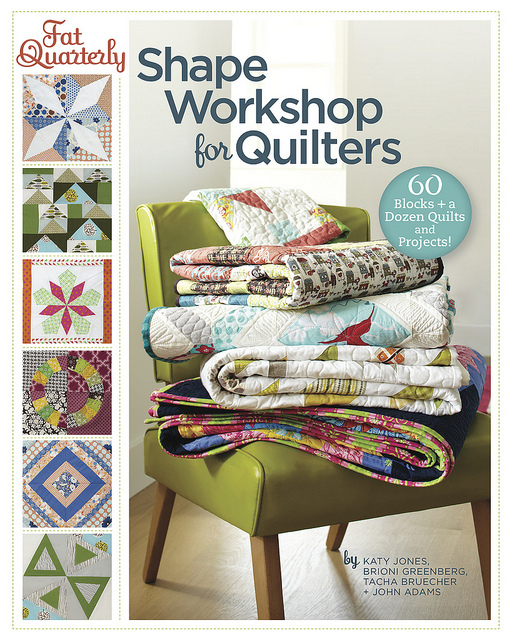 Can't wait to meet both John and Katy (and a lot of other quilters too) on the Fat Quarterly Sewing Retreat in London early June! Anyway, naturally I just had to buy the new book they wrote with FQ colleagues Tacha Bruecher and Brioni Greenberg. This reminds me that I must do a post about all the quilts I have in progress right now! Love your bunny, keep up the great work. Look forward to seeing him finished. Your bunny looks wonderful, I'm inspired to try shading myself! I've been doing some coloring on my fabric with crayons and then doing the embroidery ~ really like the effect. I, too, love all things Fat Quarter and I've got the book. It's really got some great projects in it. Love the bunny! It's great to try new styles and techniques, but crazy fur stitch is often the way to go! 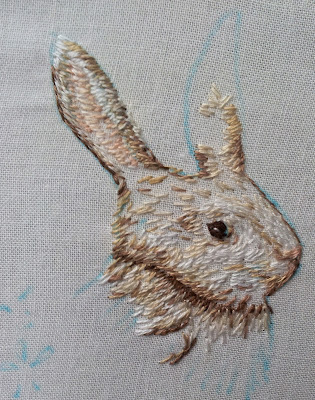 I love to do my own version of the crazy fur stitch and to me it's the closest thing to sketching and drawing with thread! I'd love to try proper thread shading though, and you've inspired me to give it a go!